The next time you’re lacking any motivation whatsoever to hit the gym, Instagram might be the best place to spend some of your time at. With plenty of local Instagrammers embracing the fitness life, a simple scroll through their feed will give you enough inspiration to last a week at the gym. Here’s a crop of up and coming Malaysian IG’ers that you should follow to inspire you not just to train hard but also to embrace a healthy lifestyle throughout, whether that may be nutrition or wellness-wise. Lye is a lifestyle personality who currently works at the Antioxidant Spa in KL and Frangipani in Langkawi. Fitness is a huge part of her lifestyle and scrolling through her IG feed, you’d see her taking spin cycle classes and pole dancing when she’s not at work. 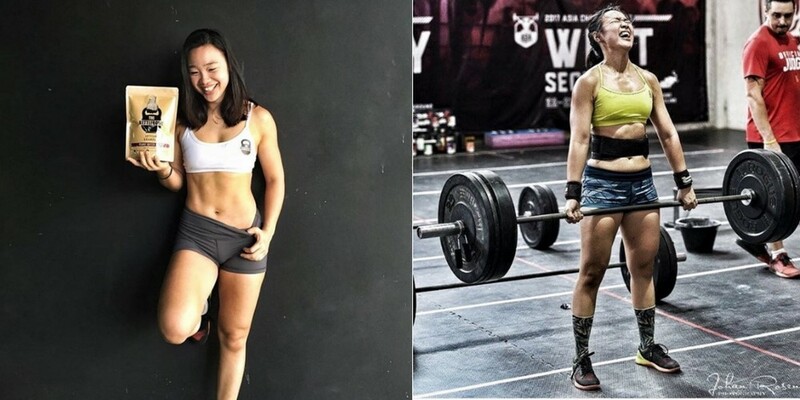 Being one of the more popular figures in the KL vegan scene, Elina is big on nutrition and fitness. She’s an athlete and has recently trained in a powerlifting event. On any given day, Elina can be seen lifting heavy weights at the gym. But don’t be fooled, the vegan lass also indulges in the odd ice cream or pizza every once in a while. Rachel makes fitness her full-time job by teaching boxing classes and being a ride and row instructor. Just as much as Rachel loves sweating it out in her activewear, she’s also equally seen all dolled up when she’s out and about. Janell, fondly known as Nell, makes it a point to make the little moments in a day count. Being a crossfitter and a weightlifter, she knows the importance of nourishing one’s body just as well and you’d definitely catch her snacking often on The Kettlebowl’s healthy granola snacks. Being a lifestyle Instagrammer, Dara’s feed is primarily of fashion and fitness and she switches seamlessly between the 2: glamming it up where need be and sweating it out at the gym the remainder of the time. You’d find the petite lass lifting weights at the gym most of the time but she kickboxes occasionally too. Wanderlust is in Cinyee’s veins because whenever she isn’t spending time at the gym, she’s hiking or swimming by the beach. She’s adventurous and lives it up by taking every opportunity that she gets to incorporate fitness into her travels and vice versa. Who knows? 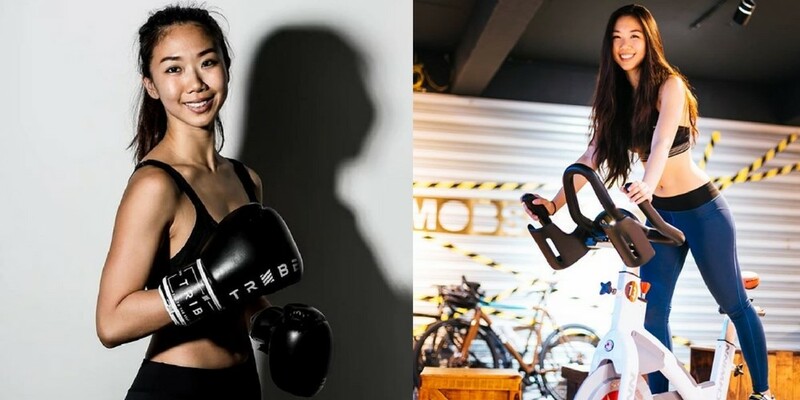 You might be inspired to take your fitness outdoors, just like how Cinyee does! Bayle’s IG feed is a direct representative of her personality: colourful and fun. The cheerleader is passionate about her sport which has lent her flexibility that any yoga enthusiast would be envious of. On top of that, Bayle’s second passion is healthy food: specifically smoothie bowls and you would find plenty of these pics on her feed! DJ Aria has the best of both worlds wherein her passion lies in music and fitness. Being a fitness DJ, she plays for a functional and cardio fitness studio, as well as deejays for The X – Restaurant & Bar in Bangsar. When she isn’t playing to a full house, DJ Aria lifts and takes music-driven cardio classes. Evon was once a skinny lass but built herself up to now being the owner of rock hard abs with the inclusion of healthy, protein-packed meals and deadlift sessions at the gym. The true definition of strong and beautiful, Evon’s feed will inspire you to get off the couch and start lifting some weights already. Being an avid rock climber, hiker and Zumba enthusiast, her deepest passion lies in yoga. As a yoga instructor, Charmaine exudes grace and poise with each pose she takes on and it’s clear that she’s having a lot of fun pursuing this sport, what with her happy and sometimes goofy expressions on IG. Are you inspired to get off the couch and begin your fitness journey yet? It’s no doubt a tough one but it’s definitely rewarding in the long run as it isn’t just about your physical wellness but also for health gains. Ready to kickstart your own fitness journey? Check out CHi Fitness. CHi Fitness has enough yoga, GRID and functional training classes for any badass chick out there, regardless of their fitness level. With 15 locations nationwide it’s time to give up the excuses. What’s more, CHi Fitness’ VIP Pass enables gym goers to try out any outlet or any class for FREE! There’s no time like the present to slay it at the gym and shred it at the gym because 2018’s your year to achieve your specific #BodyGoals and be the babe that you aspire to be! Written in collaboration with CHi Fitness.